Between the laundry list of flashy new features, jargon-y details, and wallet-rattling costs to consider when deciding what new smartphone you should buy, it's easy to feel lost before you even begin. 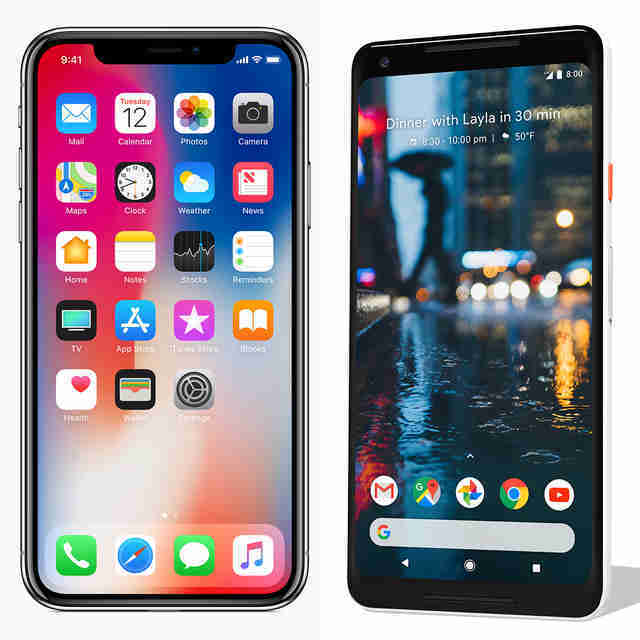 This year, it's even more daunting, now that both Google and Apple have unleashed brand new top-of-the-line devices: the Pixel 2 and iPhone X. To help you sort out which one of these two crazy powerful pocket computers might be best for you, here's a quick look into their biggest differences, and their individual standout features. The 10th anniversary model of Apple's marquee device takes the company's mobile camera tech to new heights. The rear camera boasts dual 12 megapixel lenses, which enable it to shoot in stunning Portrait Mode, where the background is blurred out but the subject is in crisp focus. 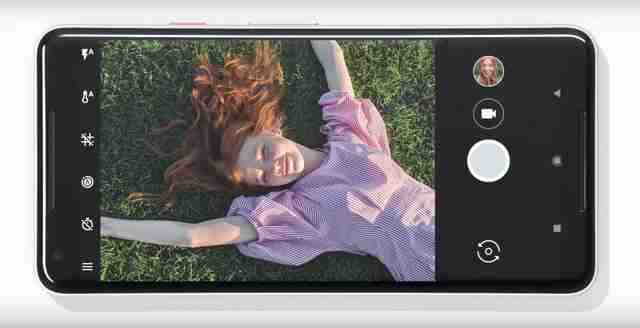 You can also now take Portrait Mode selfies thanks to its 7 megapixel front camera lens, which is part of an impressive new "True Depth" camera system that serves as the foundation for the device's FaceID tech (more on that in a minute). It's worth noting up front that both the smaller Pixel 2 and larger Pixel 2 XL boast the exact same camera specs. These include a single-lensed 12.2 megapixel rear camera and an 8 megapixel front camera, both of which are capable of shooting in Portrait Mode like the iPhone X.
Rocking a 5.8-inch display, the iPhone X features quite an impressive and bright OLED screen. In one of the more dramatic aesthetic changes to the device lineup in years, it's edge-to-edge display is practically bezel-less now that it's ditched the Home button. You'll just have to be cool with the unsightly "notch" at the top of the screen. In terms of color options, there are just two: Silver or Space Gray. The Pixel 2 XL wins when it comes to screen size, sporting a 6-inch display (the smaller Pixel 2's display is 5 inches). Both devices boast a striking P-OLED display, but the XL does come with one big advantage: it has very narrow bezels at the top and bottom, compared the chunky ones on its smaller sibling. 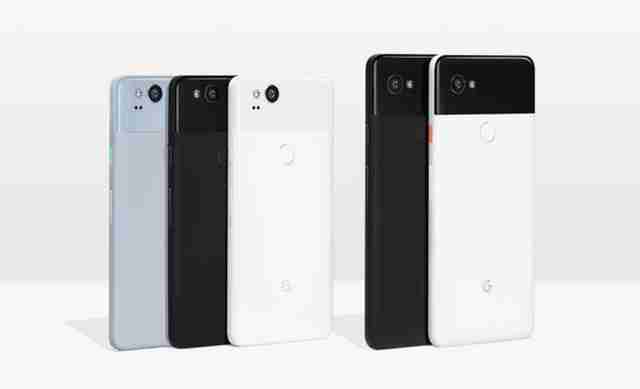 If colors are important, the XL is available in Black & White or Just Black, while the smaller model comes in Just Black, Clearly White, or Kinda Blue. Besides the ability to charge wirelessly, the new top-of-the-line iPhone also supports "fast-charging," which recharges your phone to 50% in just 30 minutes. However, there's a caveat: "fast-charging" only works when you're juicing up via USB-C, which means that in order to take advantage of this feature you'll need to shell out an extra $75 on special cables and adapters. Not only is the Pixel 2's battery significantly bigger than the iPhone X's, but it can recharge up to seven hours of life in just 15 minutes using the charger that comes in the box. What truly sets the iPhone X apart from Pixel 2 is Apple's new Face ID technology, which harnesses the power of the aforementioned True Depth front camera system to automatically scan your face and unlock your phone, confirm purchases, and generally verify your identity now that there's no Home Button and no Touch ID. Beyond its security purposes, this unique face-scanning feature will also allow users to create custom Animojis (3D animated versions of popular emojis that evoke your own unique facial expressions), and developers will undoubtedly find creative ways to begin integrating it into apps. If ditching charging cables is on your list of priorities, you'll be happy to know the iPhone X supports wireless charging. That means you'll be able to simply place it on a Qi Wireless-compatible mat and let it juice up rather than fumble for an outlet to tether it to. 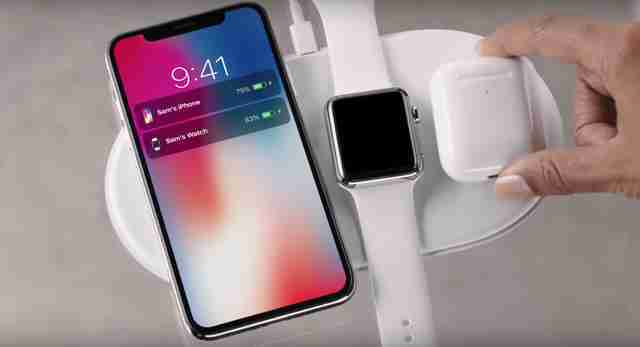 And while wireless charging pads are becoming more commonplace in public places like airports and cafes, you'll have to buy one of your own from a third party manufacturer at the moment, since Apple's own AirPower mat doesn't come out until sometime next year. Although Apple's Siri is a rockstar virtual personal assistant in many regards, Google Assistant is arguably far more powerful. The AI assistant's broad integration into other Google devices like the Home, as well as third-party hardware from the likes of Sonos and Sony means it's getting smarter all the time. 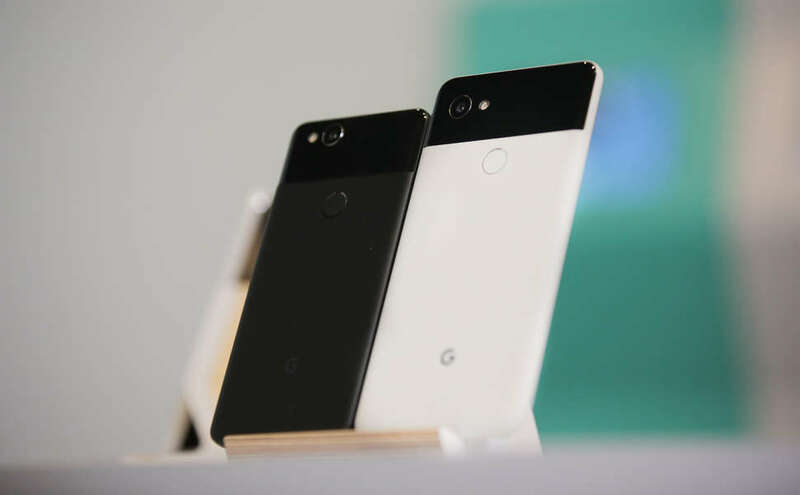 In fact, it's so much a part of the Pixel 2 experience that Google's made launching Google Assistant as simple as squeezing the Pixel 2's edges -- a feature its calling Active Edge, which can also be customized to perform other functions. Yet another example of Google's impressive artificial intelligence tech, Google Lens is a new "smart" camera feature built around object identification. 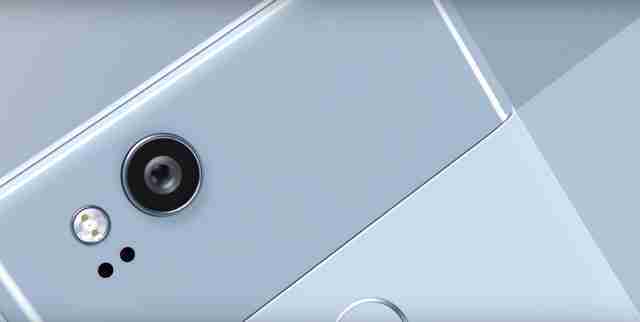 Essentially, when GL launches later this year, you'll be able to point the Pixel 2's camera at something and it will be able to automatically identify it and pull up relevant info on the screen (think landmarks, signs, text, food, movie posters, art, etc.). Unfortunately for traditional headphone lovers, Google followed a cue from Apple and ditched the 3.5mm headphone jack in the Pixel 2. The good news is that its brand new wireless earbuds perform some incredible functions. Most notably, the aptly named Google Pixel Buds (which cost an extra $159), are able to do real-time translation in 40 different languages. For instance, if you command "Help me speak Italian," everything you say subsequently in English will be automatically translated via the phone's speakers. Then, when the other person replies in Italian, their response will be translated into English in your ear. Prices for the 64GB model, which you can preorder beginning October 27, will start at a cool $999. They start shipping and hit shelves a week later, on November 3. If budget is your primary concern, the Pixel 2 wins out. The 64GB version of the smaller Pixel 2 will set you back $649, while the XL starts at $849. For a limited time, you'll also get a free Google Home Mini with your purchase. You can preorder one now, though Google hasn't announced exactly when they'll start shipping.